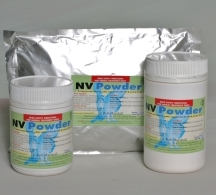 NV Powder is used for the ill bird and after disease outbreaks, the new bird, the feeding parent, weanlings in the juvenile flight, or following the show. These are the only circumstances I recommend sugar-based vitamins. NV is best given on soaked bread, sprinkled over a soft food mix or mixed into the drinking water. However the water must be kept cool when sugar based vitamins are used and plastic drinkers are not recommended, because they heat up too quickly and predispose the sugar to bacterial overgrowth. 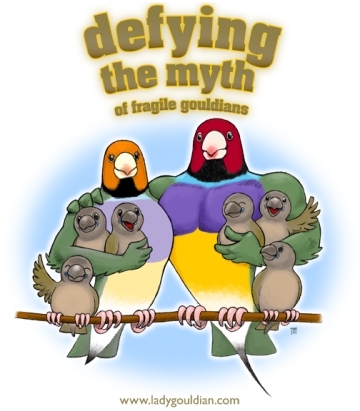 This is especially true when the birds are housed outdoors. NV given on the soft food mix, on soaked bread is an ideal energy supplement for feeding parents. It is also ideal for hens during and after egg-laying. The juvenile aviary is the ideal place to use NV Powder! It is given on soaked bread or in a soft food mix first thing in the morning for the first three days and then twice weekly. The high energy, vitamins and minerals help the fragile weanlings weather this difficult juvenile stage. NV revitalizes the tired show bird protecting it from fatigue related illnesses. It is given in the water immediately prior to and after the show. The extreme stress experienced by the new bird can be lessened considerably by giving NV Powder in the water for 3 days prior to shipping and continuing the NV Powder for its first five days in quarantine. NV Powder is used to replenish the lost vitamins and minerals after a disease outbreak, especially enteritis and coccidiosis. The electrolytes help flush the kidneys into full working order, promoting a more rapid recovery. NV Powder is incorporated into most emergency first aid cocktails.